Call Gerrus Maintenance Inc. to shampoo your commercial carpeting, upholstered furniture, and office partitions. Our trained staff will employ the proper cleaning techniques to care for your facility. We have been serving the business communities of New Jersey, Staten Island, New York and northeastern Pennsylvania for four decades. When you decide to have your carpeting cleaned by a commercial cleaning and building maintenance contractor, you will probably hear many opinions about the “best” methodology for accomplishing the task. Some power scrub carpeting with a rotary brush and specially formulated shampoo solution. The shampoo dries along with loosened dirt. Subsequent vacuuming removes the dirt and shampoo residue. This procedure is called encapsulation. Other cleaning contractors advocate a hot water extraction process, also known as “steam” cleaning, which is a misnomer. A high temperature water-based shampoo solution is sprayed onto the carpeting by a “carpet extractor” and the residue is simultaneously vacuumed into a recovery tank for disposal. The combination of high temperature and strong detergent removes soil from the carpet fibers. If simultaneous mechanical brushing accompanies the extraction, then the contractor can use gentler shampoo formulations and cooler solution temperatures. Our carpet cleaning specialists can employ an absorbent bonnet, attached to a rotary floor scrubbing machine, to apply a gentle shampoo solution. The friction caused by the bonnet rubbing against the carpeting, in concert with an effective shampoo formulation, can accomplish cleaning without excessively wetting the carpeting. The carpeting will dry quickly, and this method will not cause deeply embedded stains to wick up to the surface. The choice of carpet cleaning technology will depend upon the type of carpeting to be cleaned, the physical condition of the carpeting, the extent and nature of the soil, the permissible “down” time of the area to be serviced, and your budget, of course. Our versatile service divisions can also employ special purpose carpet cleaning methodology to solve problems related to odor, mold, bacterial and viral contamination, “sick” buildings, sewage backup, flood damage, fire and soot contamination, animal odor damage, urine and feces, and chemical contamination. Gerrus Maintenance Inc. has been providing carpet cleaning and complete janitorial services since 1974. Whenever you need a professional, experienced office cleaning or industrial janitorial service that can furnish a one-time cleanup or a repetitive cleaning program to fit the requirements of your office, plant or warehouse, trust the chemical engineer-managed staff of Gerrus Maintenance Inc. The versatile service divisions of Gerrus have been meeting the needs of business communities in New Jersey and nearby areas of Staten Island, New York and northeastern Pennsylvania for four decades. We want to partner with you to maintain the highest appearance level in your building. Visit us at www.gerrus.com and then call 732-225-0662 or email us at info@gerrus.com today. 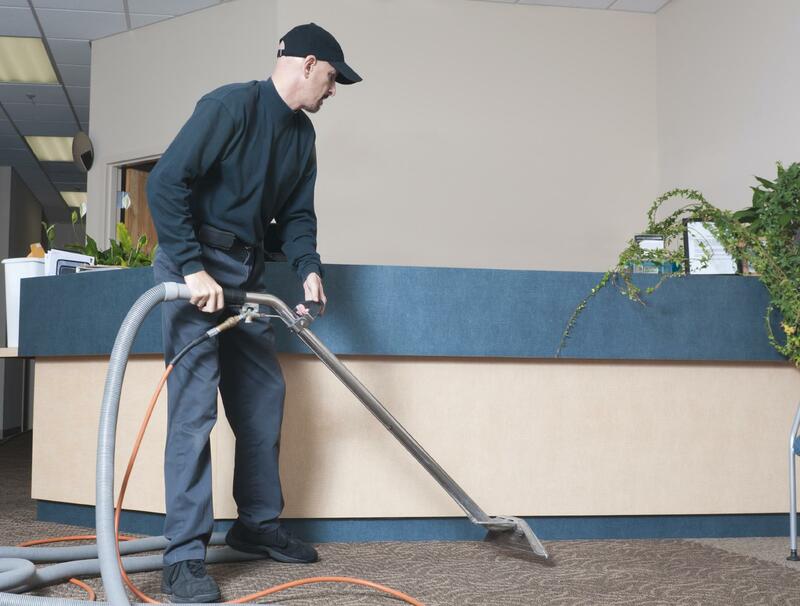 Our dedicated commercial carpet cleaning staff will clean all types of carpeting.